Okay readers, I’d like to make one thing clear – NieR: Automata’s narrative is great, the game is great, and you should play it. My problem is that I was among the very few who played the original NieR game. It’s incredibly hard to get your hands on now as it’s not on any digital platforms and getting a boxed copy for PS3 isn’t easy nor cheap, and sadly there are currently no plans for a remaster or remake. Maybe an announcement will make its way out come Square Enix’s E3 showcase? Who knows, but it deserves it and Yoko Taro wants to do it! Beware! Heavy spoilers lie ahead, person who may not have played one of 2018’s hit games, or the original gem. The ending to NieR is one of my favorites. No matter what you do, you fail. You lose everything, and this is made clear in Automata. Nier, Kainé, Emil, Yonah, Grimoire Weiss – they’re destined to be unable to save the world and cure the deadly Black Scrawl, and so humankind is on its last legs. There may be several endings, but they range from really bad, to really really bad, and there’s no hope. The game is depressing, but it’s so poignant and heartfelt that it’s difficult to pull yourself away from it. It’s one of my all time favorite games, but it never needed a sequel. No, it really didn’t. NieR: Automata may be great, but it’s living in the original game’s shadow despite what sales and scores may suggest, and rarely will someone bother, or be easily able, to re-visit NieR. 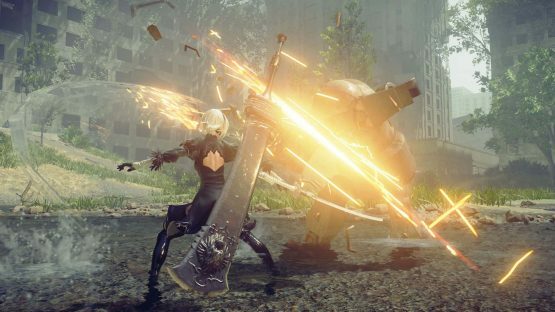 NieR released at a time where Japanese games were even more niche than they are now, but since then players have become accustomed to playing more Japanese games in their gaming diet, and they’re bigger now than they ever were. NieR: Automata released to rave scores and has sold over 2.5 million copies – a significant success – but I found it to be an underwhelming experience that forgot what made NieR so beloved. 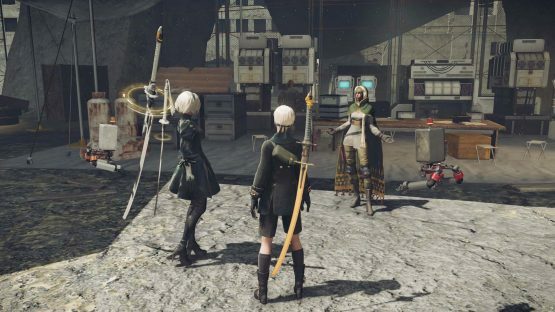 NieR: Automata’s main issue in failing to grip me in the same way as its predecessor was is in its protagonists being androids – not so much that they’re not human, but that any real threat is removed very early on. You’re shown that once an android is staring down death, they can preserve their personalities and be transferred to another body. The androids may not always be successful in doing this, and if so they lose their memories, but from the get-go there’s less tension knowing that no human life will suffer, and that there is a way out – humankind was wiped out entirely by the Black Scrawl, after all, and was not afforded this opportunity. Losing your memory may be just as worse as death, but it’s not something that Automata explores deeply. You, as I did, will come to care for 2B, 9S, A2 and the supporting cast, especially Pascal, to some extent, but overall, I never felt as if the stakes were real, as if they were quite as believable as NieR’s cast and their personal plights. It’s a much more hopeful game, but it attempts to hit many of the same emotional beats that NieR did without the same level of impact. 2B’s character suffers from a lack of development and is generally blasé to expressions of emotion. 2B doesn’t change all that much throughout the game, especially when compared to 9S who has an existential breakdown. Even this is a far cry from Nier wanting to save his daughter and ultimately giving up his life to save hers, knowing that she’ll die from the Black Scrawl eventually anyway, just so that she can live a little longer. Kainé will protect Yonah in his stead and whilst Nier succeeds in saving his daughter, for a while at least, he fails at being there for her when all’s said and done. 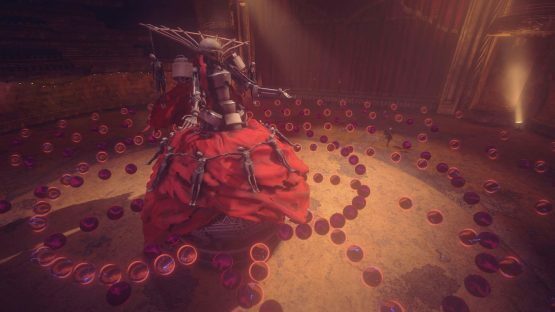 The original game’s character development is handled with such love and care, and each emotional beat is a perfect punch in the gut, but in Automata it’s a lot of retread ground and a lot less satisfying when it comes to personal development. There is an interesting theme that focuses on how the androids and machines work to separate themselves but, in the end, it’s shown that they’re very similar. However, NieR dealt with a similar issue by focusing on how humans are different to Shades, and in the end it’s once again shown that they’re not all that different. Automata attempts to do the same, but the impact is lost if you’ve played NieR – a superior telling of a similar story. Furthermore is the attempt to makes players empathize with enemies – or what may seem like enemies at first – but once again it’s something that’s done far better in NieR. For example, Roc and his pack, the wolf shades, broke my heart once I realized the truth behind their story. There’s emotion there, and it’s far from poor, if not a little clumsy, story-telling, but it’s nowhere near as masterful as what Yoko Taro has achieved before. NieR: Automata is a story about hope, but it refuses to let go of the shackles in that it needs to tell a depressing, touching tale on par with the original, and instead it feels as if the happiness found at the end isn’t earned so much as it’s given. It doesn’t feel like the ending that was being built up to, and instead it feels like a way to continue the series into yet another game. I love NieR, but I think it’s a story that becomes weaker with more entries. It dilutes the experience in a way that not all series are suspect to because of the themes it deals with. This opinion piece does paint NieR: Automata in a bad light but let it be known that I’m a fan of the game. I really am, and it makes me happy to see Yoko Taro, and fans of the game, so proud of his work. It’s utterly heart-warming, and I love seeing people play what’s inherently such an excellent game. I do recommend that you play it, and it deserves much of the high praise that it has received. However, as a big NieR fan NieR: Automata, I felt as if I’d experienced much of it before but not executed quite as well. The high praise Automata is receiving is praise that the original game also deserves, and it’s incredibly clear that the original gem of a game wasn’t played by many. If anything, I feel NieR: Automata’s existence made the original game’s narrative better at the expense of its own because it shows that NieR’s endings were as hopeless as they seemed. There’s no way to rewrite that devastating end. I’d also argue that the original game’s gameplay was better, but that’s a discussion for another day.